A powerfulgroup of organizations working together to create maximum impact. S&T policy studies, patterns of techno-globalisation, etc. It is involved in several projects related to RRI (Responsible Research and Innovation) and ‘Technology and Knowledge’ activities on the implementation of open science, the integration of social software and web 2.0 applications in learning processes, technology assessment, citizen engagement processes, etc. Work and equal opportunities (configuration of labour markets, local governance implemented by partnerships, innovative employment policies and new forms of work; international migration, ethnic economies, gender equality, an ageing society and other issues of social integration versus exclusion). Technology and knowledge (research and development of technology and innovation systems, participative technology assessment, technological and conceptual mediation of collaborative work and learning processes, policy advice on the application and use of information and communication technology). International Research Policies (research policy advice, technology and knowledge development, generation and exploitation of knowledge, feasibility studies and policy recommendations). In general ZSI offers analyses and concepts for promoting and implementing social innovation in its thematically focused areas from a trans-disciplinary perspective. The Technology and Knowledge unit in particular focuses its research and development activities on the potentials and limitations of emerging technologies and their diffusion in technologically mediated settings for the benefits of society. 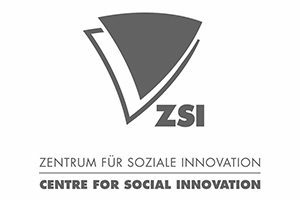 The Centre for Social Innovation (ZSI), brings in their expertise on social innovations. This scientific body-of-knowledge will reflect the setup for the execution of the pilots. Furthermore, ZSI is able to guide the process on impact and implementation, which is fundamental to this project. In addition, ZSI has extensive expertise in coordinating multipartner innovation projects. Waag Society, Institute for Art, Science & Technology, is an interdisciplinary nonprofit media lab based in Amsterdam. Its mission is to provide meaning and give direction to the role of technology in society. In interdisciplinary teams and in close co-operation with end-users it develops technology that enables people to express, connect, reflect and share information, goods and responsibilities. It hosts interactive events and plays an active role in debates about technology and related issues like trust, privacy and intellectual property. 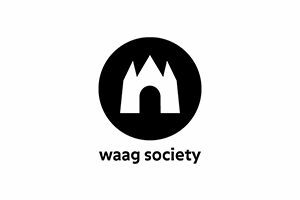 Founded in 1994, Waag Society is part of the Dutch national infrastructure for the arts and culture, and a well-known participant in national and international collaboration programmes. Originating from The Digital City, the first online community aimed to question The Internet and in those days limited to science, large corporations and defense. Waag Society aims to make technology available for everybody. Nowadays new technologies are to be explored and made usable, such as digital fabrication (such as 3D printing), IoT, open hardware, Big Data, new forms of gaming, participation and distributed cooperation. Waag Society works closely with end-users to understand, assess, test, and develop new technologies in society. It has extensive expertise in design research, healthy ageing, ICT-enabled person-centred care, (real-time) data analysis, tangible interfaces and digital fabrication. It combines the input from different fields to come up with meaningful innovations. Waag Society is involved in several EU programs, amongst which are Ambient Assistant Living and H2020. In these programmes, it performs user research, is involved in co-creation practice and citizen science. Furthermore, it has the capability to connect users and communities, host hack-atons, challenges and competitions and events that go beyond the scope of a research project, providing opportunities for generating impact from the project results to businesses and the society at large. different activities in the project, all related to engagement and participation as WAAG has access to a wide community of end users, healthcare professionals and other relevant stakeholders for the project. Opendot is a fablab active since 2014. Based in Milan, the lab has been founded by Dotdotdot, an interaction design company active since 2004 in combining technology, spaces and human interaction through design. The FabLab is a bottom-up research hub for open innovation, a place for rapid prototyping and production, research, innovation and experimentation. Opendot initiates changes, identifying in the open source format and in technological know-how new opportunities for growth in the areas of training, design, production and research. Thanks to its multidisciplinary approach and its strong focus on product development, Opendot is a reference point for companies that wish to implement their products and know-how through processes of innovative development. The promoters of Opendot are designers of making and creators of culture who enthusiastically embrace the philosophy of collaboration and sharing of knowledge, positioning themselves as a meeting point between new skills and traditional know-how. Since 2015 Opendot has designed and conducted “The not-yet existing object” program in partnership with the foundation TOG -Together to Go, Excellence Centre for the rehabilitation of children suffering from complex neurological pathologies. Through intensive co-design sessions with kids, their relatives and their care-givers, the still ongoing program develops highly end-user-customized assistive technologies for kids affected by different neurological pathologies. Opendot is committed in the education field under different perspectives. They actively collaborate with Politecnico of Milan, DOMUS Academy, NABA (New Academy for Fine Arts) among other Universities, for whom they deliver advanced training formats on interaction design, rapid prototyping and product development. 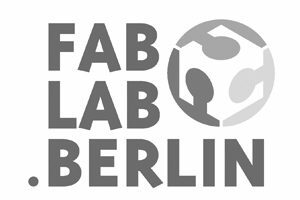 It also organizes and hosts since 3 years the 6-months-lasting training Fab Academy, the most important academy on fundaments of Digital Fabrication, centrally coordinated by MIT Media Lab. Through Open Innovation formats Opendot organises also advanced learning experiences for companies and professionals. With the intent of democratizing technologies, they explore creative uses of high-techs such as Machine Learning, Internet of Things and Smart City Technologies. 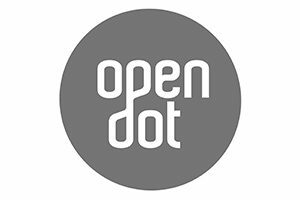 Opendot is a fablab that worked during the last few years on activities that they will also bring to the project: interaction design, co-design and open innovation, product development, DFM, etc. 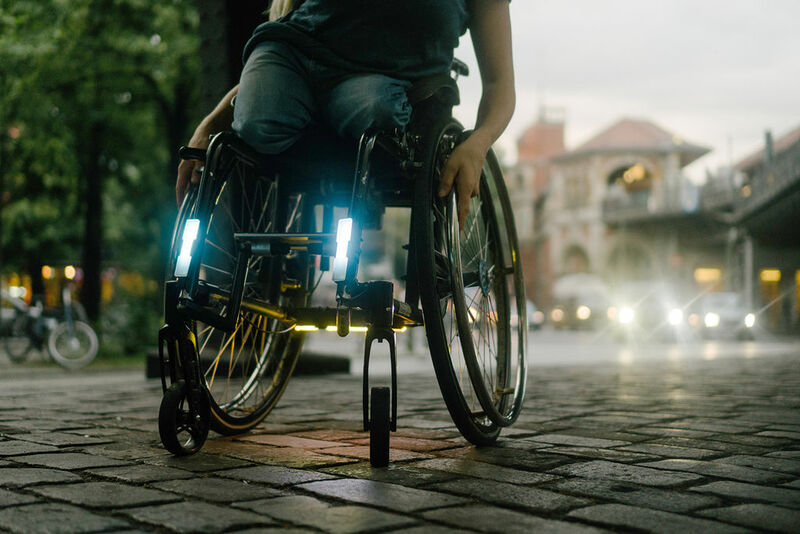 Opendot has also been involved in a collaboration on co-design for people with special needs, collecting a lot of knowledge, not only on how to develop products that fits the users’ needs, but also what are the unexpressed need beside the functionality. This knowledge will be an important asset when running co-design sessions and providing a platform that meets the needs of the users. In addition Opendot will also organize local sessions with TOG and plays an important role in dissemination, outreach and sustainability as a well-connected partner of high reputation in the community. 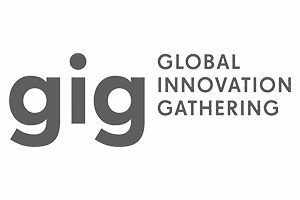 Global Innovation Gathering (GIG) is a vibrant, diverse community of innovation hubs, maker spaces, hacker spaces and other grassroot innovation initiatives as well as individual innovators, makers, technologists and change-makers. The GIG network has been growing steadily since its founding at re:publica 2013 and now comprises over 100 organizations and individuals in over 37 countries. GIG is pursuing a new vision for global cooperation based on equality, openness and sharing. We aim to enable more diversity in the production of technology, and global innovation processes and support open and sustainable solutions developed by grass-root innovators. The activities of GIG focus on strengthening the network and connections between innovators, community innovation spaces and relevant partners such as government agencies, donors and larger companies. 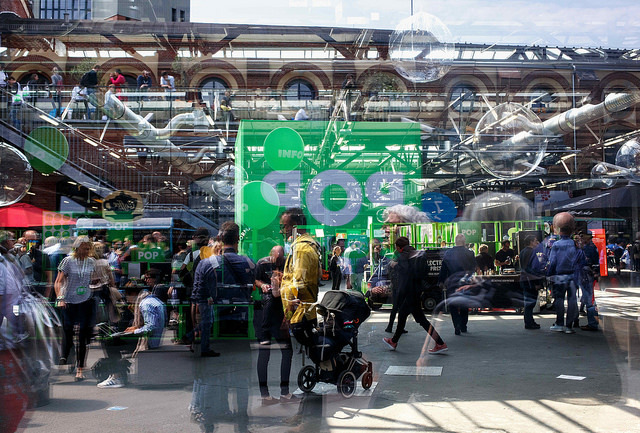 Furthermore, GIG also serves as a platform to showcase the work of the network members and conferences and events all over the globe, such as MakerFaire Berlin and Nepal, re:publica Berlin and Transform Africa. Fact finding, input of needs and requirements from their specific local perspectives. The GIG network can help source and document existing ideas, innovative and open solutions or needs cases in their surroundings. A number of GIG members are actively developing open health care solutions, for instance in the area of disabilities and prosthetics, including EngineeringGood, Singapore, Vecbox, Palestine, Science Camp, Iraq. The GIG network members can support the codesigning open health solutions and test these solutions in different conditions, for instance by organising and facilitating design events involving local innovators, health experts as well as target groups in which equipment for specific health problems is developed. The GIG network members can actively engage in the exchange of the consortium, and participate in the development of a global platform that makes these efforts visible and accessible. This platform will support the public communication of project results as well as the exchange of knowledge and experience with the open manufacturing of health equipment. The network can help the global outreach of the project by employing its members as multipliers. Holistic urban planning & business models adopting the concept of circular economy, ecological sustainability of digitally fabricated goods, sensor-integration and medtech-related sensor-integration in particular, didactics related to the digitalisation of the working environment. Industries GmbH brings its R&D partnership with world market leader Otto Bock in the project, as Makea Design carries out R&D projects for Otto Bock on a long term, looking e.g. into intelligent prosthesis (related to Future Internet). MAKEA will further leverage the resources of its local, national and international network of research & education partners, makers & startups, industrial partners and policymakers for the sake of the initiative. This will be an important contribution to the sustainability and impact of the project in the future. Wevolver is a software development and internet services provider company. 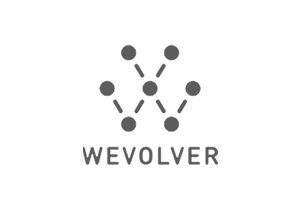 Wevolver creates and provides the Wevolver Webplatform: a platform enabling hardware developers to collaborate effectively on open source and private projects in fields like robotics, IoT, clean tech and healthcare. Users share and collaborate on knowledge & files of projects like robots, clean tech, and 3D printers. An example of a public project is the Hackberry, a 3D printable electronic prosthetic with a global community continuously developing better versions. The Wevolver webplatform contains over 700 publicly accessible projects that share blueprints, files and design information. • the Nominet Trust Social Tech Prize; for the social impact our publicly accessible database of hardware projects make by providing people the resources for learning engineering skills or for developing technology to solve problems and start new ventures. • The Accenture Innovation Award; for enabling people to develop new solutions in the field of healthcare. • SXSW 2016 Innovation Award; for the design and functionality of our plaform. • Fast Company listed Wevolver as one of the Top Most Innovative Web-platforms among Slack, Facebook and IBM Watson. Wevolver provides and innovates its web platform to enable engineers, designers, and makers to develop open source healthcare solutions to those in need. Together with Opendot Wevolver is a core partner in order to provide a platform that meets the community needs and can be sustained with innovative crowdfunding models in the future. Wevolver performs the user needs analysis, User Interface design process, and the software development that are required to enable decentralized collaborative adaptation of the platform. Wevolver also has access to a large community of hardware developers with backgrounds in engineering, design, and the maker movement; also including companies, students, and researchers. This will be of great benefit in terms of engagement of communities and for the outreach and sustainability. The KU Leuven Centre for IT & IP Law (CiTiP) is a research centre at the Faculty of Law of KU Leuven dedicated to advance and promote legal knowledge about the information society through research and teaching of the highest quality in the areas of Data Privacy and Information Security Law, New Media and Communications Law, Information Rights Management. Its research is focused on the design of innovative legal engineering and risk management techniques and is characterized by its intra- and interdisciplinary approach, constantly aspiring to cross-fertilization between legal, technical, economic and socio-cultural perspectives. CiTiP is among the founding members of the Leuven Center on Information and Communication Technology (LICT) and of the Flemish digital research and incubation center iMinds that recently merged with imec, a world-leading research and innovation hub in nano electronics and digital technologies (www.imec.be). Whereas CiTiP’s in-house staff are all legal experts, it has access to leading technicaln experts in Flanders via its affiliation to LICT and imec (previously iMinds). CiTiP’s current staff counts 4 professors, 1 research coordinator, 3 senior researchers, 25 junior researchers, 3 administrative assistants and 9 affiliated researchers. To bridge the currently existing gap between patients/end-users, health practitioners and solution developers, the fostering of mutual trust between these actors is key formthe success of this project. To foster this trust, a secure and transparent environment for the open development of personalised health care solutions is needed, to which the clarification of the relevant legal and ethical frameworks will contribute. 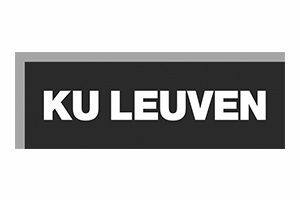 To this end, KU Leuven will ensure that the applicable legal provisions and ethical considerations are embedded in the design, implementation, and validation of the platform and tool that will be developed. One part of the project, led by KUL, is thus to provide continuous guidance on the relevant ethical and legal questions to the consortium members and to produce through gradual refinement a set of legal and ethical guidelines enabling maker communities to develop and share their knowledge in a transparent and legally secure way. 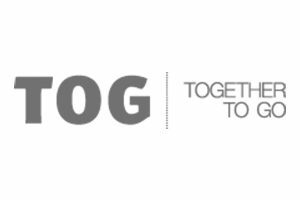 The TogetherToGo ONLUS (“TOG”) is a Foundation constituted in 2011. It is located in Milan (Italy), where it has created and manages an Excellence Centre for the rehabilitation of children suffering from complex neurological pathologies having a genetic basis or developed during the embryonic or fetal development or due to neonatal traumas (particularly Infant Cerebral Palsy and Genetic Syndromes with Mental Retardation). These children suffer of motor, cognitive, behavior or communication deficits. After the diagnosis, they need rehabilitation that is often the only effective treatment. For each of its patients, TOG designs an overall and tailor-made rehabilitation program, taking into consideration the child’s individual characteristics, living environment, abilities as well as deficiencies. Since TOG’s focus is on chronic, complex and strongly invalidating diseases involving children in the development age, it offers rehabilitation treatment free of charge. In Italy, as in most west countries, the incidence of neurological diseases results to be stable and ranges from 2 to 3 cases out of 1.000 live births. In order to maintain free assistance and, at the same time, assure the highest competence, efficiency and adequate level of rehabilitation service supply, a public/private assistance configuration is necessary. TOG represents an effective help to the National Health System as it provides a free quality health service valuable for the society. In particular, TOG supports the Italian Health Systems’ efforts to meet rehabilitation needs of children with neurological disorders, assisting – free of charge – 110 patients in the Territory of Milan and Lombardia Region. TOG offers to such patients overall and tailor-made rehabilitation programs which cover all area of impairments arising of the pathologies involved (including motor, cognitive and relational deficiencies). Rehabilitation is the exclusive focus, whereas for diagnosis, surgery and internal medicine, TOG takes advantage of a wide network of relationships with the most important Italian health centres. Beside the rehabilitation focus, TOG’s institutional mission is the training and research in the field of neurological rehabilitation. TOG will be an important partner in the user needs analysis as they will analyse what the world of disable offers or lacks.